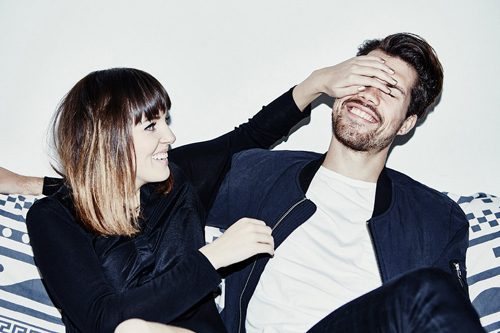 The past eleven months have been pretty intense for London duo, Oh Wonder. They are close to completing a remarkable feat; releasing one new track, each month for a year. "Landslide" is their eleventh release and the pair are due some credit as the quality hasn't dropped for any of the releases. Oh Wonder will release their self titled debut album on September 4th via Caroline International and you can pre-order it now on iTunes and Google Play. New single "Landslide" is available to stream now on Spotify. After selling out their debut London gig at The ICA (16th September) Oh Wonder, quickly added a second date (17th September) which sold out in 12 hours. Extra dates were also added to their New York, LA and Paris shows after all the dates sold out. Now the band have announced their first UK tour, head to ohwondermusic.com for dates and venues.